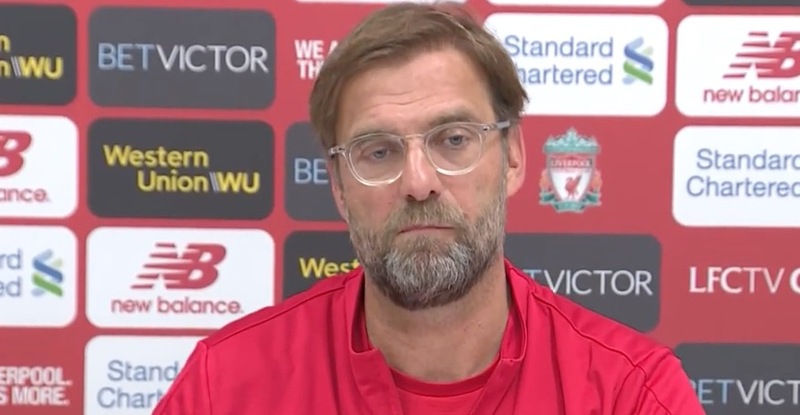 Jurgen Klopp has spoken out about the racist abuse Chelsea fans made in a song against Mo Salah, calling the Egyptian forward a ‘bomber’, which has been circulating social media this week. “It’s disgusting,” said the Liverpool boss. “It’s another example of something that should not happen. “If you do something like that you should not be able to enter a stadium again, from my point of view, for life. Theree of the six fans involved were identified and barred by Chelsea and the club are actively attempting to track the other three. Want to watch Sunday’s game against Chelsea? Place your first sports bet on @KwiffOfficial today to supercharge your betting & unlock a NOW TV Sky Sports Mobile Month Pass.